The Punch Bowl Public House West Hallam. Built for GEORGE HODGKINSON in 1754. He was a Farmer and Inn Keeper. The length of number of years the family ran the pub are not known but George Hodgkinson is mentioned in several newspapers. Example: Derby Mercury Friday 14 May 1773. Militia Subscription at his premises at West Hallam. 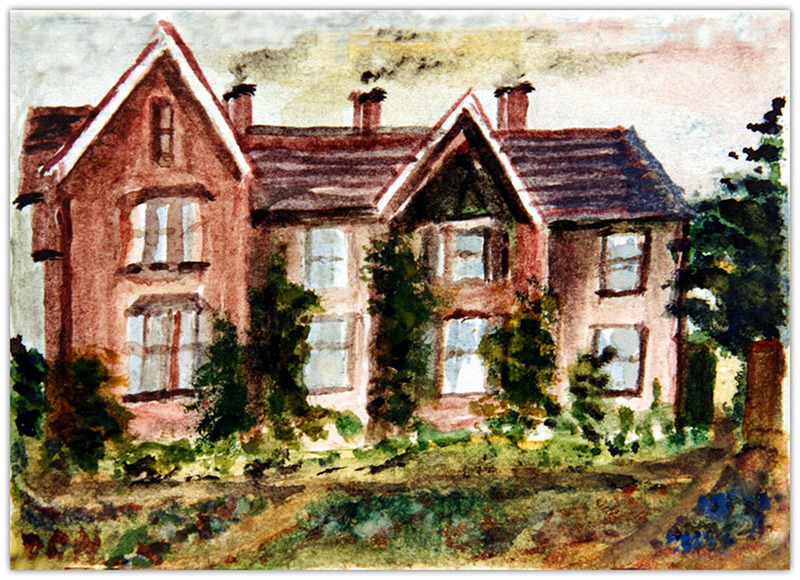 West Hallam Hall, painted by Gladys Turton. 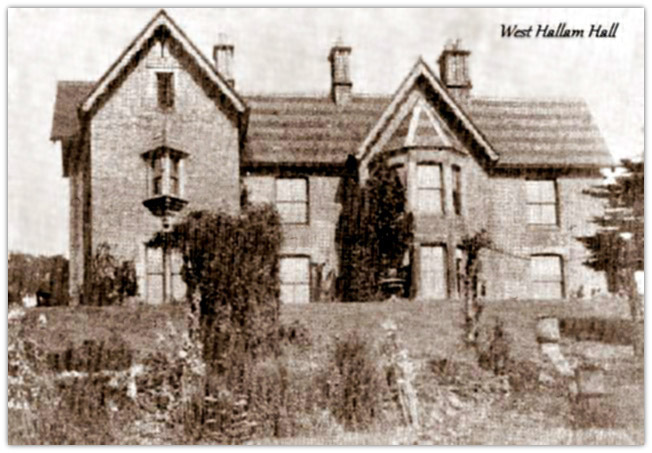 Hall erected 1875, demolished August 1939. Now Hall Court. In aid of the funds of the National Society for the Prevention of Cruelty to Children, a garden fete was held on Wednesday, in the-grounds of West Hallam Hall (lent by Mr. H. Fitzherbert Wright), in connection with Ilkeston district branch. In addition to a variety of amusements, there was a sale of work. The Mapperley Ambulance Brass Band was present, and a quadrille band played for dancing.